Greetings from German Brass: Bach the revolutionary! Those who know German Brass will be aware that they do not limit themselves to classic brass music along the lines of the trumpet fanfare. This is an ensemble which blends great virtuosity and sparkling musicality with more than a dash of wit and charm. Their concerts are pure entertainment, spanning the genres from pop through classics and jazz to film music. The success of this approach can be judged by the four decades of the ensemble�s history. The musicians � ten soloists and college professors � have always succeeded in creating a completely new sound of their own for each of their projects, reinventing and rediscovering it in every concert and on every recording. German Brass does more than produce a sound, it celebrates that sound and makes it an experience for each new audience. 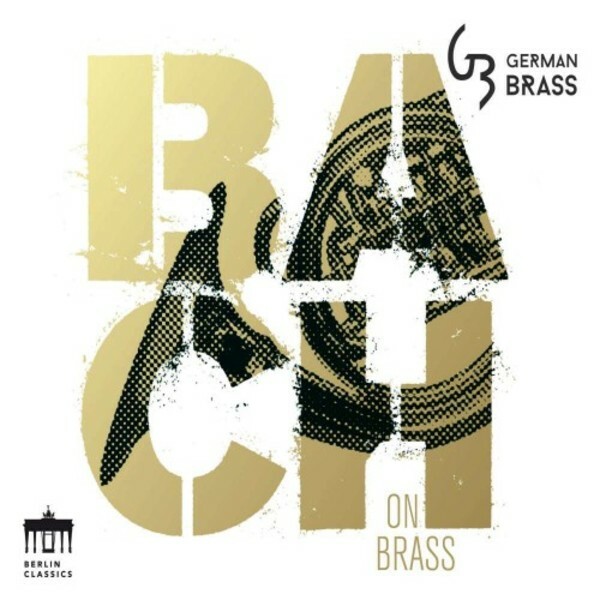 On its album �Bach on Brass�, then, the ensemble summons up a completely new sound that presents the works of the great Johann Sebastian in an entirely fresh and radiant light. This is the full brass treatment for Bach�s greatest works: unexpected, yet familiar, with absolute respect for the matchless composer. The works were arranged by the members of the ensemble personally and already enjoy benchmark status as virtuoso pieces breaking new ground in the world of brass. �Bach on Brass� encompasses a cross‐section of Johann Sebastian Bach�s impressive oeuvre: from the well known Toccata and Fugue in D minor by way of Brandenburg Concerto no.3 to the much loved chorale �Jesus bleibet meine Freude� (Jesu joy of man�s desiring) from the cantata �Herz und Mund und Tat und Leben�. Interesting as the compilation will be for lovers of the Baroque, it thrills a broad audience too, bringing immediacy to Bach�s music and making it into a sonic experience. �Bach on Brass� � witty, virtuosic and genre-testing: a delight for classics fans and more!